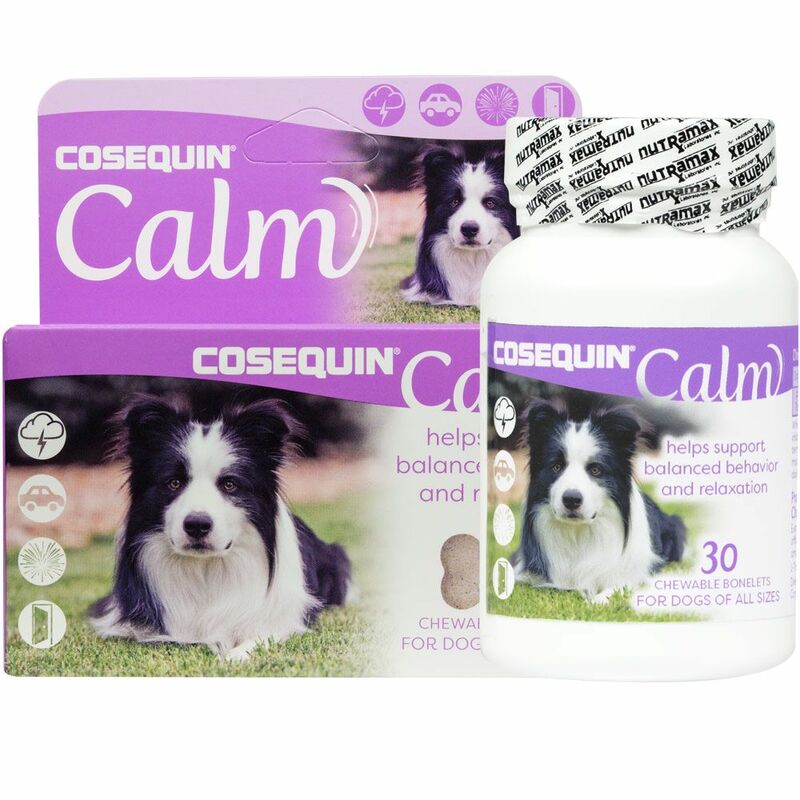 Cosequin Calm is perfect to relax your pet during stressful events such as thunderstorms, fireworks, traveling, visitors and more. Experiencing fear and anxiety takes a toll on your pet. It can cause them to tremble, pant, hide, bark execessively, and even escape! Keep your pet safe and secure with this effective blend that come in the form of a chewable tablet perfect for dogs of all sizes. *For dogs 60 lbs and over, give 1 tablet per every additional 20 lbs. For optimal results, product should be used in conjunction with behavior modification in consultation with your veterinarian.